Oil drops sharply, extending last week slide and declines 8% in 6 days on Mnuchin's comments. The price is currently at its lowest since last June as the slide was boosted by comments from US Treasury Secretary Steven Mnuchin, who said that the administration will consider the use of waivers for countries to continue buying Iranian supplies. 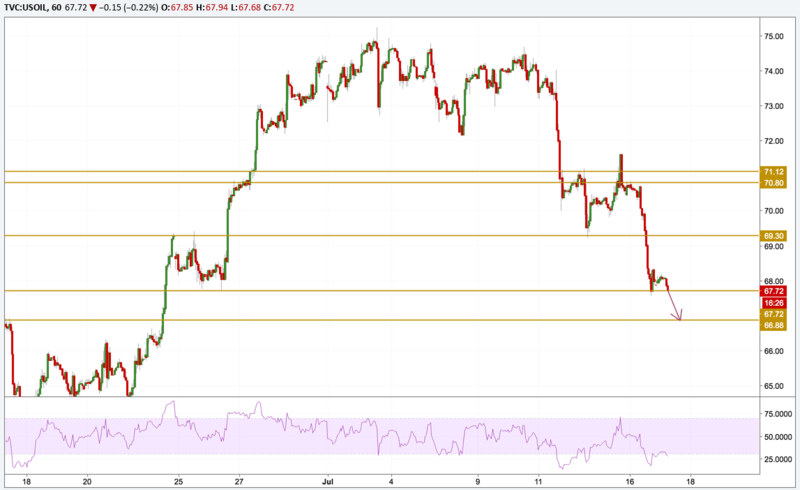 Technically, the price has continued its downtrend breaking support levels and currently settling at the $67.70 support area. Momentum is still declining but be careful from oversold conditions or any divergence. The next level we will be focusing on is the $66.88 support before we can see any kind of reversal back above the $70 level.